Kim Stanley Robinson, bestselling author of the Mars Trilogy, dazzled readers and fans with his previous book about space, 2312, putting a whole new spin on humanity’s future in the cosmos. In his new novel, Aurora, he takes the idea of a colony spaceship traveling to a distant planet to colonize it and what happens. 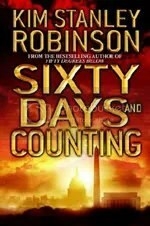 Of course, with Robinson, nothing is ever straight forward and lots of strange and unpredictable things occur. There is a ship traveling through space and time that has been doing so for centuries. The ship is massive and is featured on the cover of the book: a central core that becomes known as the “spine” with two great rings. The ship in many ways is its own planet, with different “lands” or “countries” and thousands of people all different and unique. The ship is on its way to the Tau Ceti system where there is a new place the 2,122 travelers hope to call home. The ship has been traveling for 160 years, generations have been born, grown up, grown old, and died on the ship. Now, the current generation will reach the ship’s final destination. The book mainly focuses around a family: Devi, the mother is essentially the ship’s “engineer”; Badim, the father; and our main character, Freya, the daughter. The book opens when Freya is a teenager and having issues with her controlling mother. The ship is still some years away from Tau Ceti, and Freya decides she’s had enough of home and sets out to see the many areas of the great ship. What began as a short and simple journey becomes a multi-year pilgrimage. She travels all over ship, interviewing and talking with many, many different people. She eventually becomes the most renowned inhabitant on the entire ship; during her journey she also learns a lot about her mother and what an important member and woman she has been to the ship and its people. The ship eventually reaches Aurora and a substantial landing party is sent down to investigate. One of the member’s has her suit penetrated in a fall and her skin is broken, blood flowing, but there appears little wrong with her. She is kept in quarantine for a few days and develops a cold; then she asphyxiates and dies. Then the rest of the landing party become stick. Some commit suicide, while others die in the same strange way. The colonizers now have a decision to make: do they stay in Tau Ceti and try to colonize another nearby planet or moon, do they continue working on trying to adapt and survive on lethally hazardous Aurora, or do they turn the ship around and head back home? 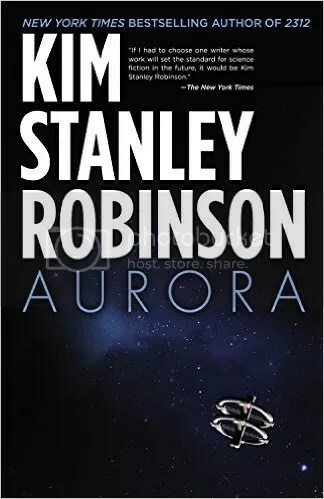 Robinson posits a fascinatingly brilliant theory in Aurora: humanity has specifically evolved to survive on Planet Earth, wherever they hope to travel to in the universe they will be landing on a planet or moon where they have not evolved and face high risk to become sick and infected, much as colonizers and explorers of the past infected indigenous peoples with viruses and diseases that the native people had never experienced before, though in this case its the planet infecting the arriving invaders. In Aurora, Robinson never holds back on his characters, letting them lead and tell the story. The story goes down avenues readers would never expect it to, and the author explains how it comes out the other side. Like Neal Stephenson’s recent Seveneves, Aurora is a fascinating story about humanity’s drive to explore and discover, and to survive at any cost. Originally written on August 27th, 2015 ©Alex C. Telander. To purchase a copy of Aurora from Amazon, and help support BookBanter, click HERE. 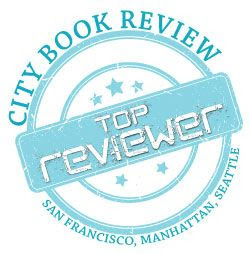 From the author of the Mars trilogy, as well as many other bestsellers, comes a science fiction novel that pushes the boundaries of the genre through story and character and writing to keep the reader hooked from start until finish. 2312 is a lengthy book that will stay with you long after you have turned and read the final page. It is the future of the twenty-fourth century where humanity has come a long way and colonized a number of planets in our solar system, as well as their moons. Technology is impressive and inter-planetary travel a common event. In fact, one of the new aesthetic ways to travel is on a moving asteroid that has been colonized and terra-formed, with each of these traveling planetoids representing a unique architectural style. Swan Er Hong is one of these talented designers, but having lost a close person in her life is now adrift, uncertain what to do. But after a series of attacks and catastrophic events, beginning with the great protected city of Terminator on Mercury, she realizes there is something going on here much greater than she can conceive. 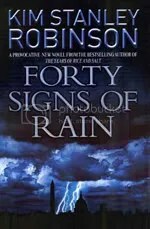 Robinson has outdone himself with 2312, blending a story of gripping science fiction, a captivating plot, and unique characters that exist in a future world of acceptance and normalcy to them that seems advanced and developed when compared to ours. A delight to read, 2312 will be keeping you up late. 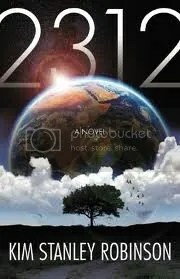 To purchase a copy of 2312 from Amazon, and help support BookBanter, click HERE. Kim Stanley Robinson tries something different to his usual classic science fiction novels in Galileo’s Dream, employing a combined story of Galileo’s life as a scientist with an unusual setup on a moon of Saturn in the distant future. 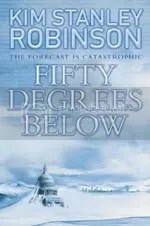 The result is an incredible novel that uses all of the great styles and abilities that Robinson has to offer with his complex, developed writing style, the excellent research, the hard science fiction, and an incredible, unique story. Galileo’s Dream essentially has two storylines going on that involve Galileo Galilei: one is the moving story of Galileo’s life in becoming a hard scientist, scrutinizing everything, researching and learning, coming up with new inventions, and studying the heavens every day. As his popularity grows and his ideas and theories on the Copernican idea of the universe – that everything does not revolve around the Earth, but that the planets revolve around the sun – turn to proven facts in his mind and he tries to publish works claiming this, he begins to feel the wrath of the church and more importantly the Pope who he though would be an ally and is instead turning into an adversary. The other story to Galileo’s Dream is when Galileo uses his recently invented telescope with superior lenses, he discovers the moons of Jupiter – which are known as the Galilean moons – and in a moment is magically transported from the seventeenth century to the year 3020 on the moon of Europa where he must help the strange looking inhabitants with their own problems. Each time he is transported back to his time, he remembers a little more of his forays into the distant future. Galileo’s Dream is a unique story that could only have been conceived of in the mind of Kim Stanley Robinson, taking the reader on a journey they won’t soon forget, as they learn about the incredible life of someone often referred to as the world’s first scientist, as well as being entertained by an engrossing science fiction story set in the thirty-first century. Originally written on March 11th 2010 ©Alex C. Telander. This episode features my interview with Seth Grahame-Smith, who is the author of the original mash-novel that swept the world by storm, Pride and Prejudice and Zombies, which is now being turned into a movie, as well as a graphic novel, and there’s even a prequel coming out soon. But most of our interview — after some initial discussion about Seth’s thoughts on zombies — was spent talking about his new book coming out March 2nd, Abraham Lincoln: Vampire Hunter. 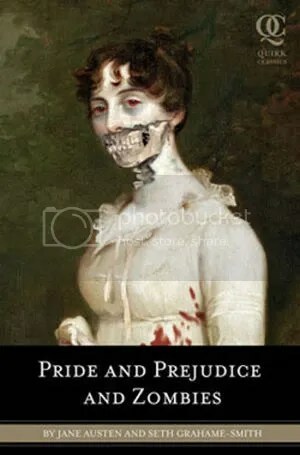 In the interview, you learn where he came up with the idea for the book (which predates Pride and Prejudice and Zombies), how he went about writing the book with all the research. Seth also does a lot of TV work, which he talks about, as well as other projects he’s currently working on. There was a bit of an issue with the recording and sound quality, but the interview is clear enough and pretty interesting. Be sure to join me on the next episode of BookBanter, coming March 15th, where I’ll be talking with bestselling author Kim Stanley Robinson, and we’ll be talking all about his latest book, Galileo’s Dream.